The Best Porta-Potty Prices In Ann Arbor, MI! Use the form below to choose your portable restroom rentals. 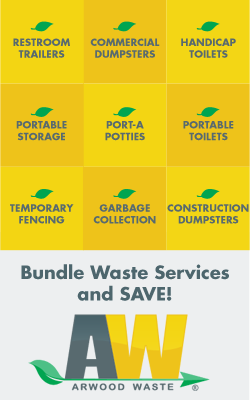 Clean and convenient, Arwood Waste’s portable toilet services are ideal for outdoor work environments like your construction site. We service all of Ann Arbor, MI’s Corporate events, weddings, parties, family reunions, festivals, carnivals, outdoor promotions, Concerts, football/baseball sports field, fundraising, parks, farms, etc. We flush out the competition by saving you money, call today 734-274-4124!